National Public Seating's Music Stand Cart/Dolly-DYMS20 is designed to store 82MS Music Stands. 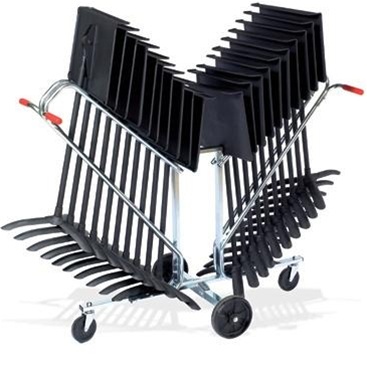 It is made of zinc-plated heavy duty steel, and is capable of holding 20 stands. Handles are covered in soft rubber for comfort.